Look closely, because you never know what might be next to you. I was standing outside talking on the phone. 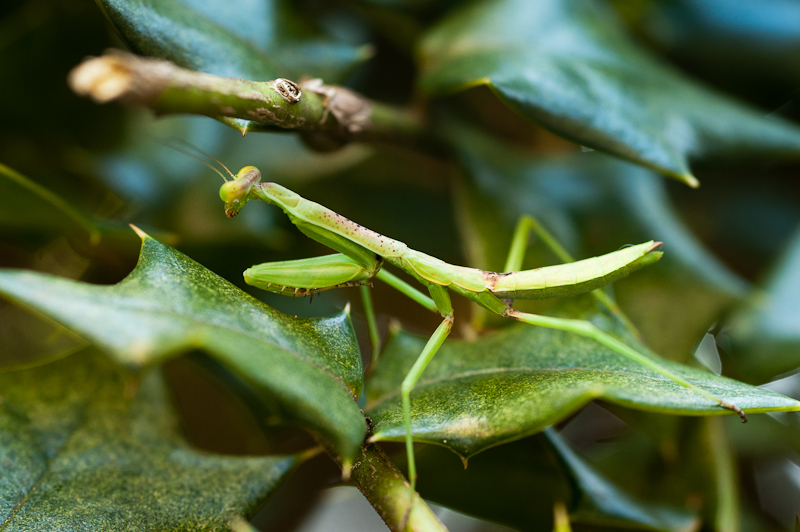 I looked to my right and saw this praying mantis doing what it does best, acting like part of the bush. It might have freaked me out if it was larger and much closer to me.